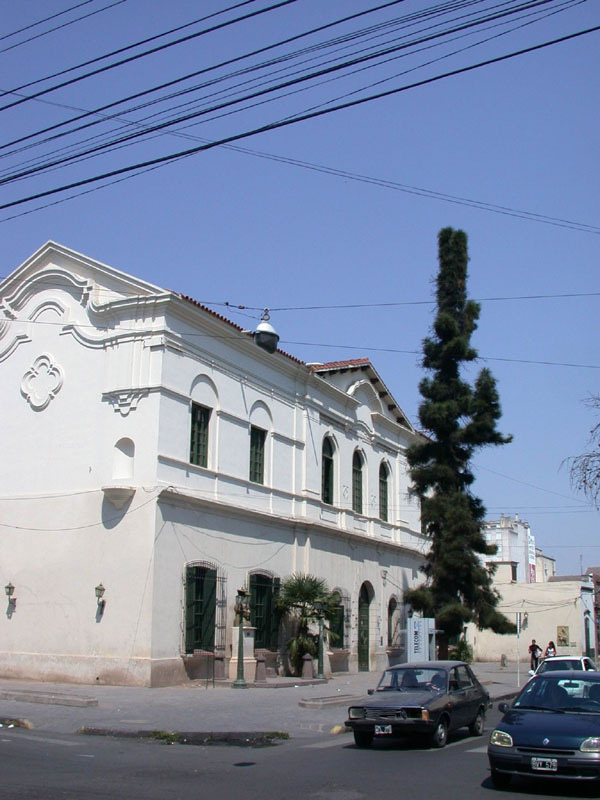 Salta is an Argentinean big city in Andes foothills with approximately. 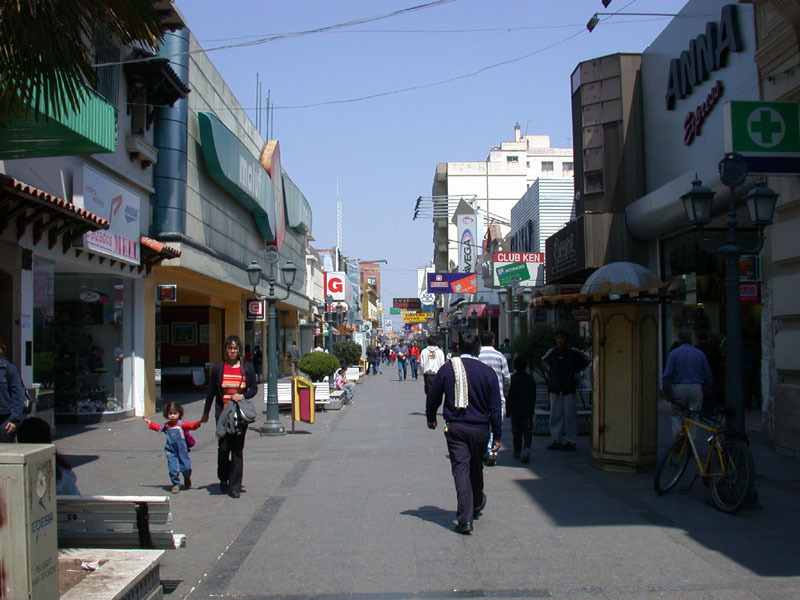 2.5 million inhabitants. 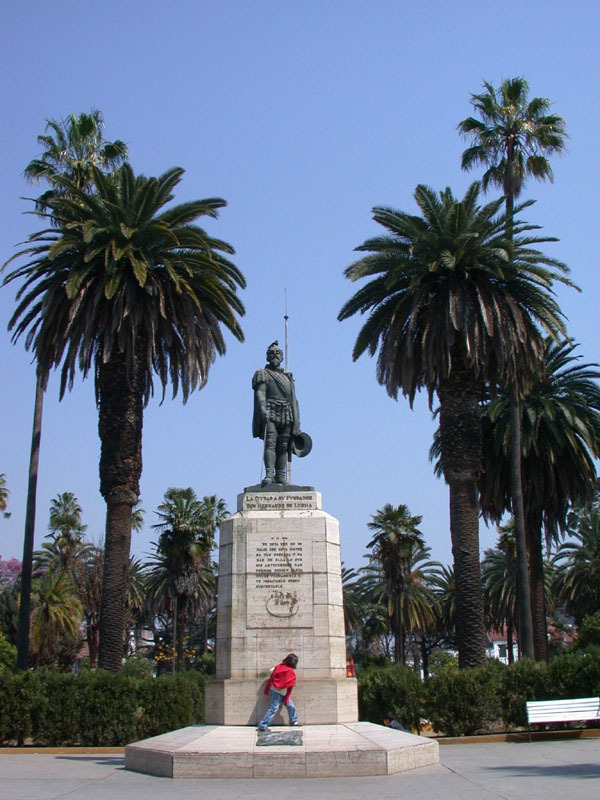 The position is advantageous because it is possible to arrange some roundtrips and cross the Andes edge by bus to the Chile in 15 hours. 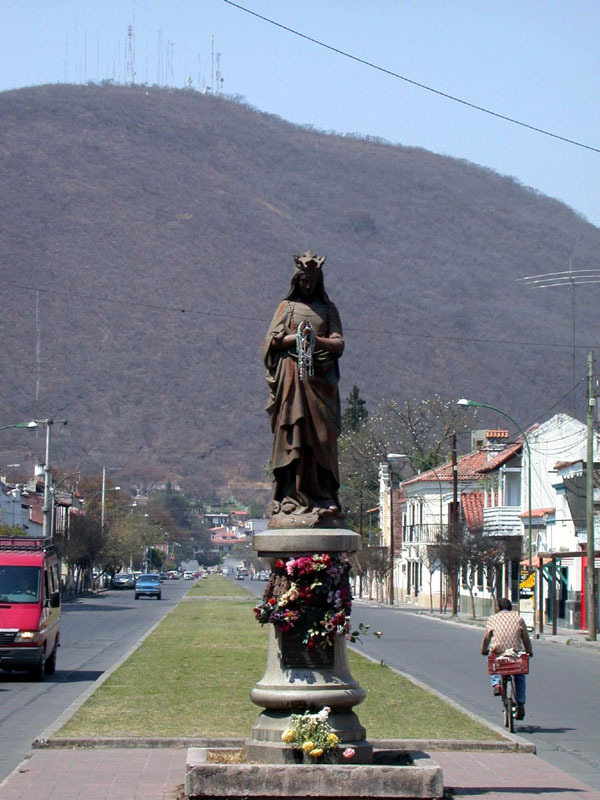 There is a hill above the town with an excellent outlook. 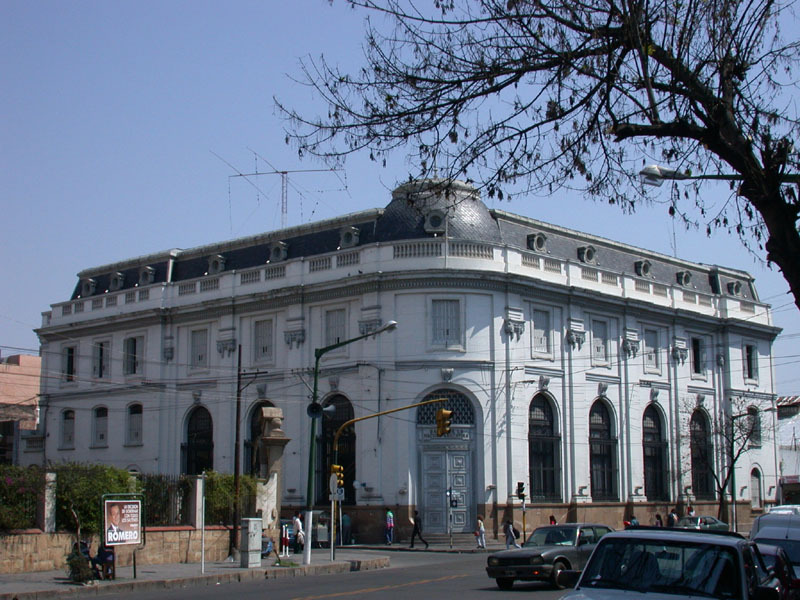 You can use the funicular which helps you to enjoy the beauty of this city. Once a week there is a train (El Tren de las Nubes) going from Salta well known for his thousands of curves and bridges over deep mountain valleys. 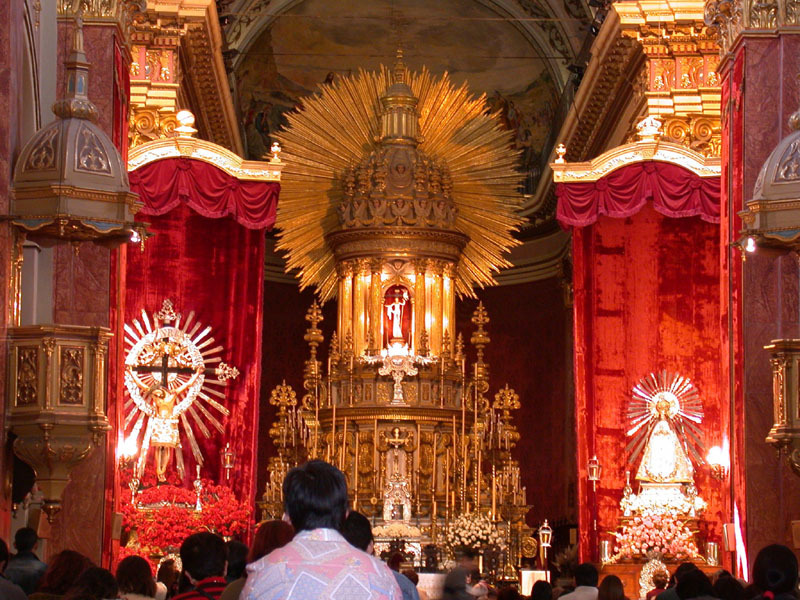 Salta is waking up at night and it is known by lots of feasts and carnivals. 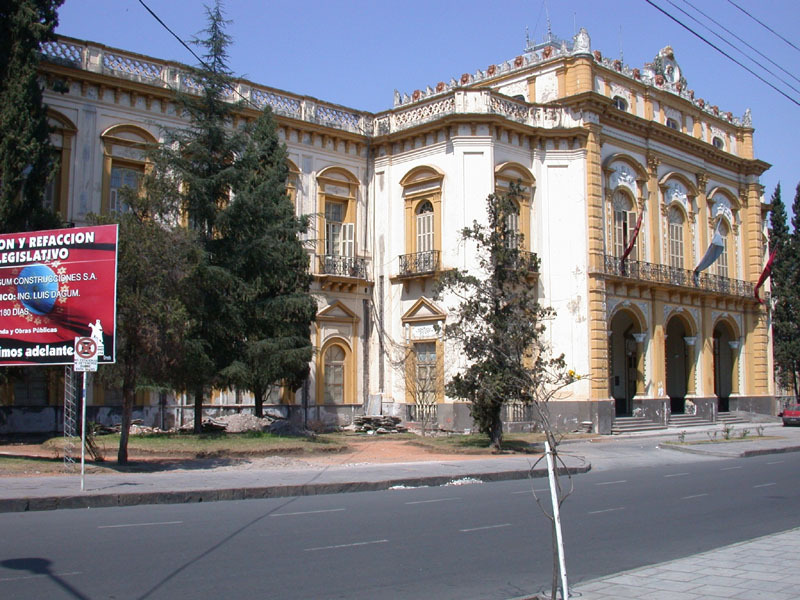 Salta - one of many streets. 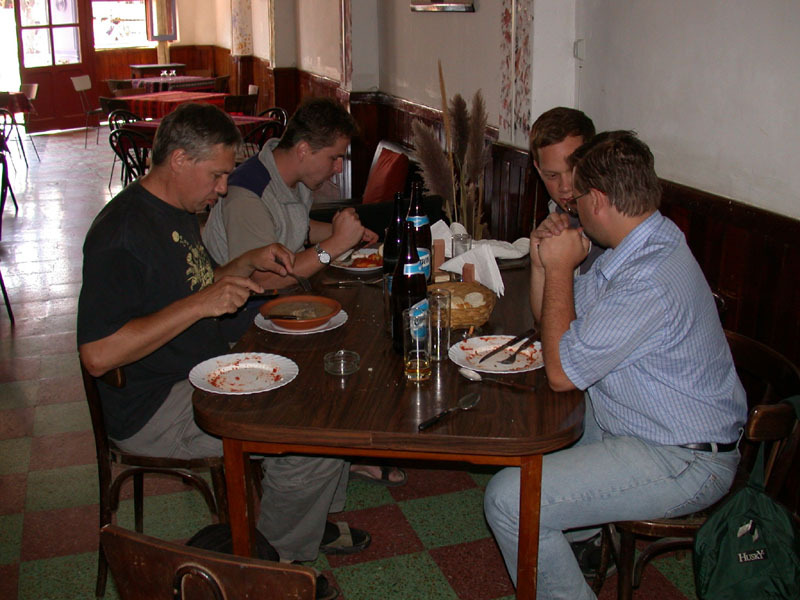 Salta - complete menu for 2.5 pesos (one USD) in restaurant near train station. 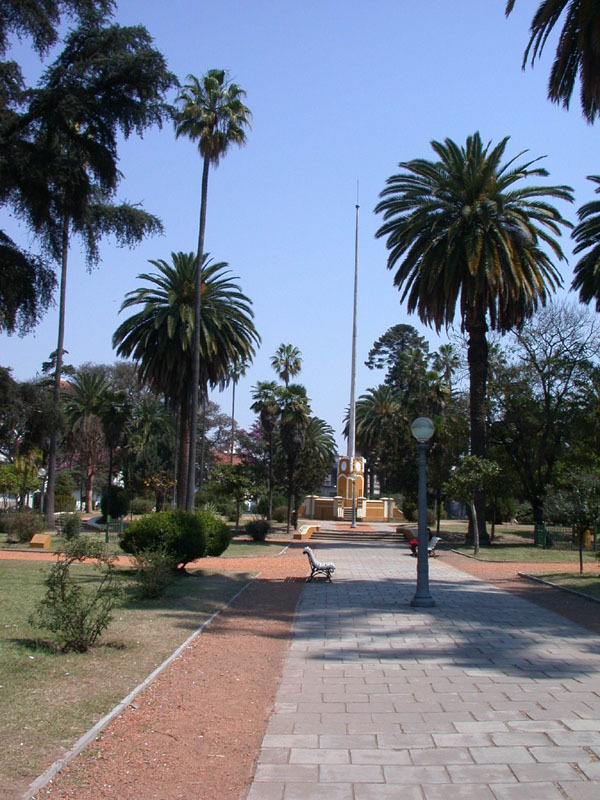 Salta - Plaza Güemes. 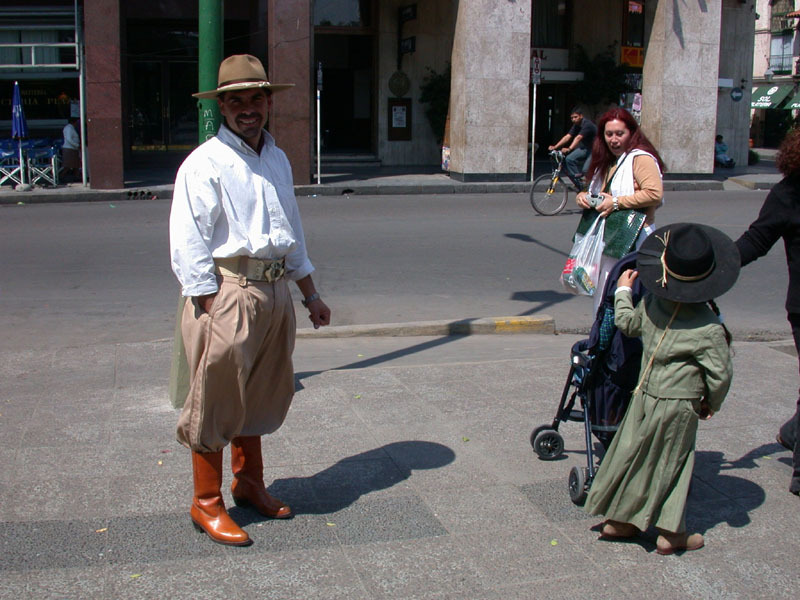 Salta - Plaza Güemes. 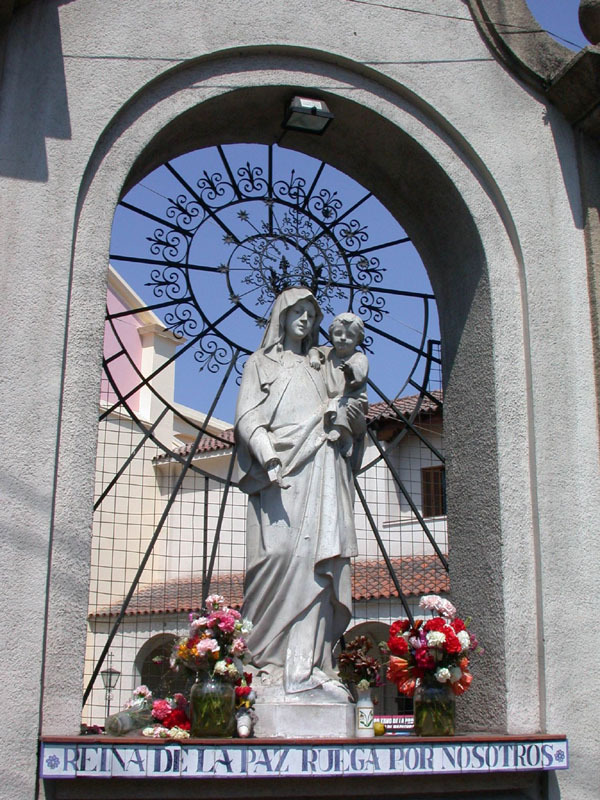 Salta - Madonna. 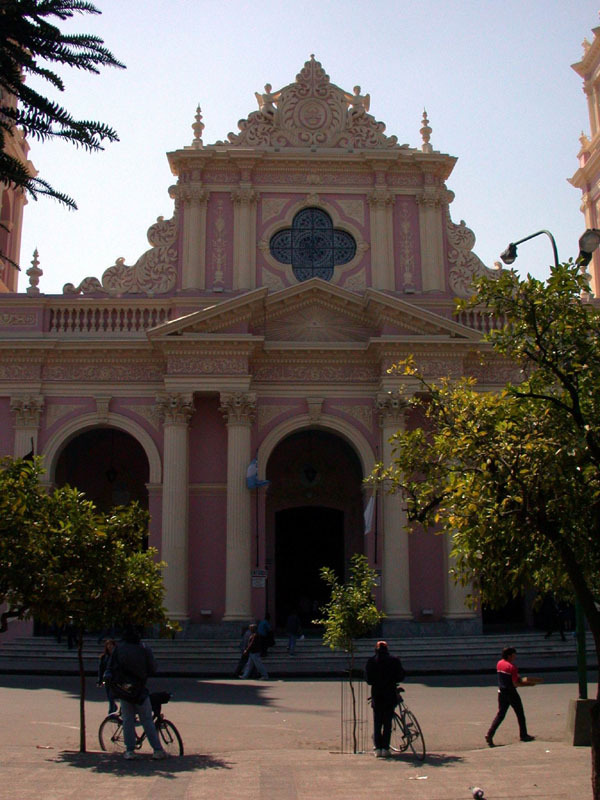 Salta - cathedral. 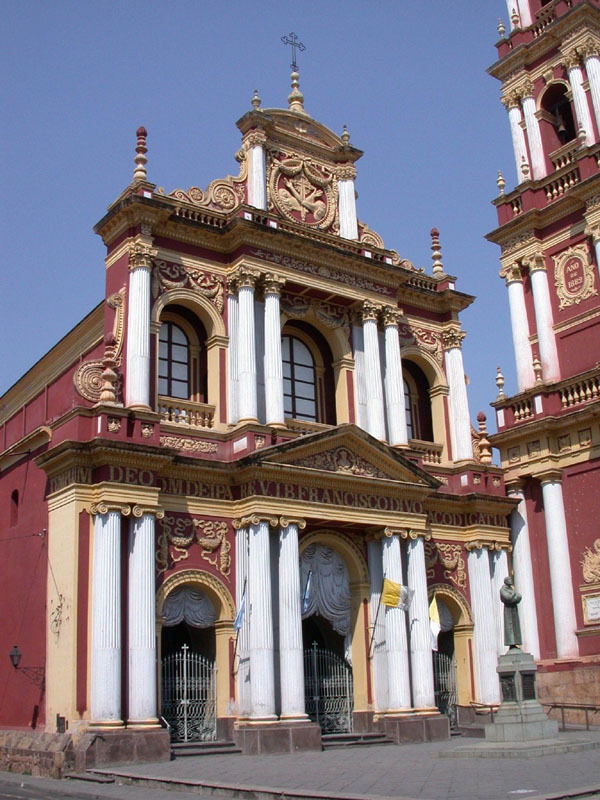 Salta - cathedral. 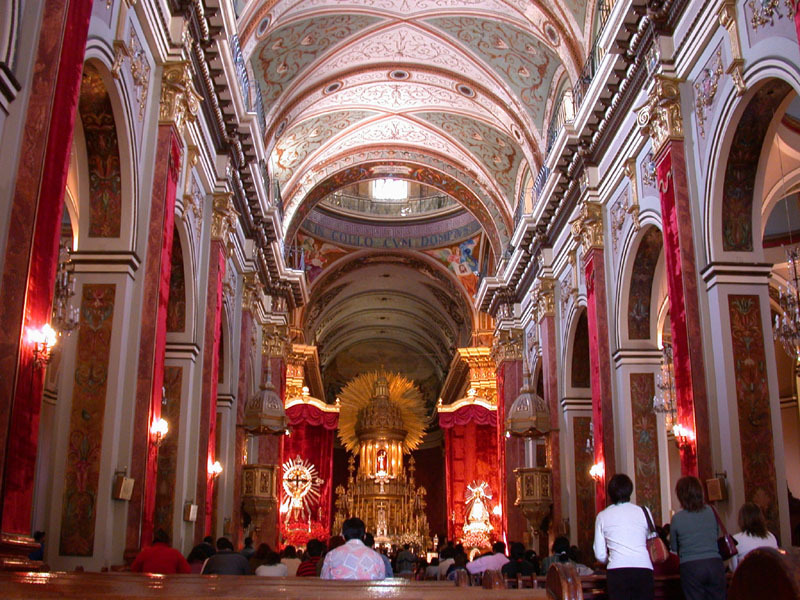 Salta - cathedral. 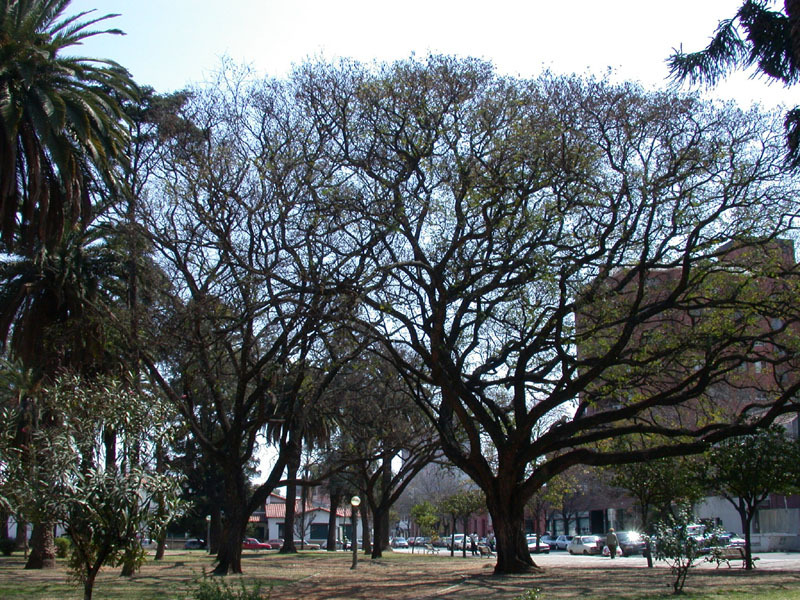 Salta - park nearby the bus station. 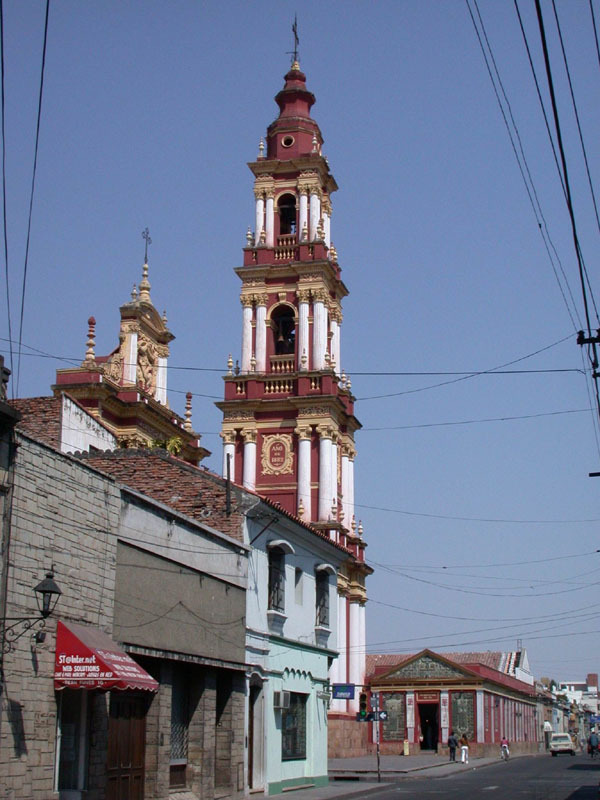 Salta. 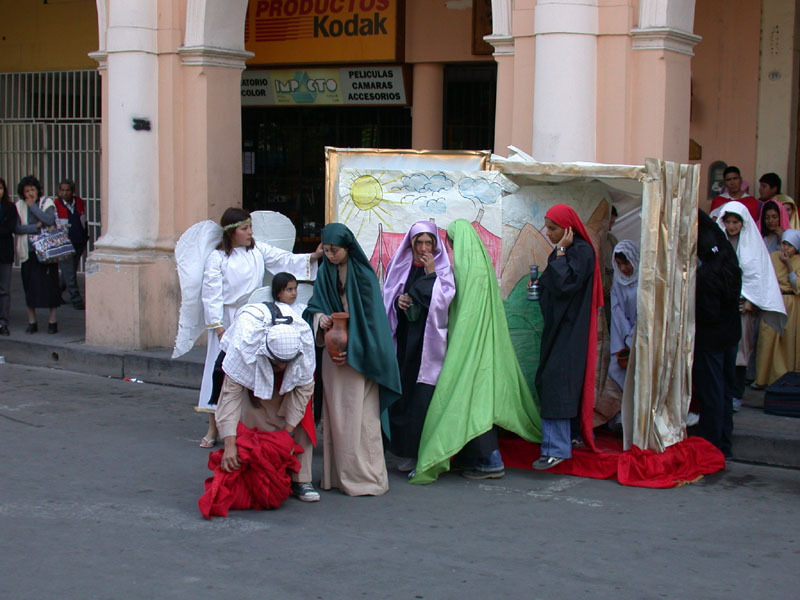 Salta. 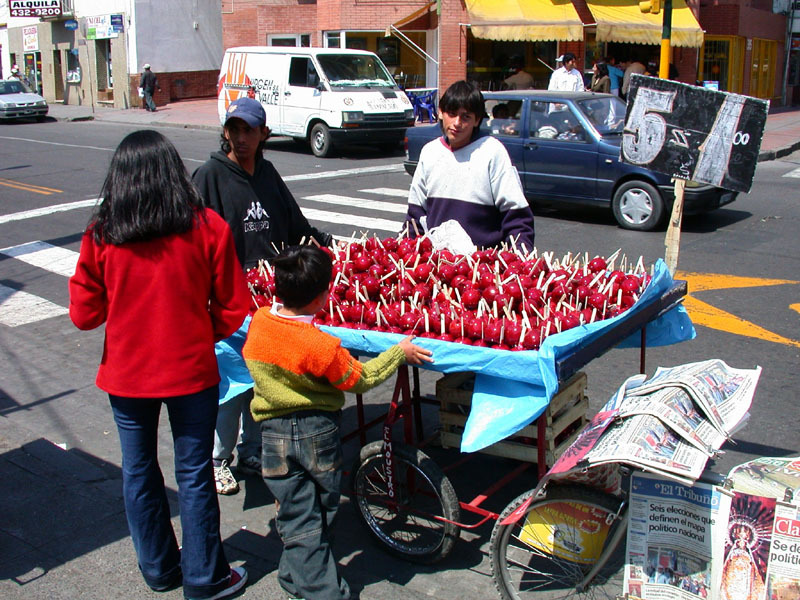 Salta - sellers of candied apple. 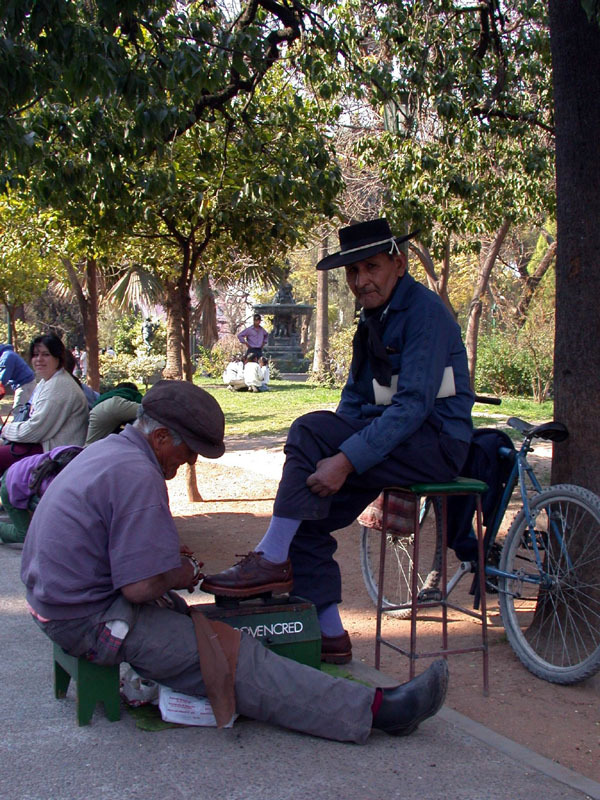 Salta - shoe cleaner. 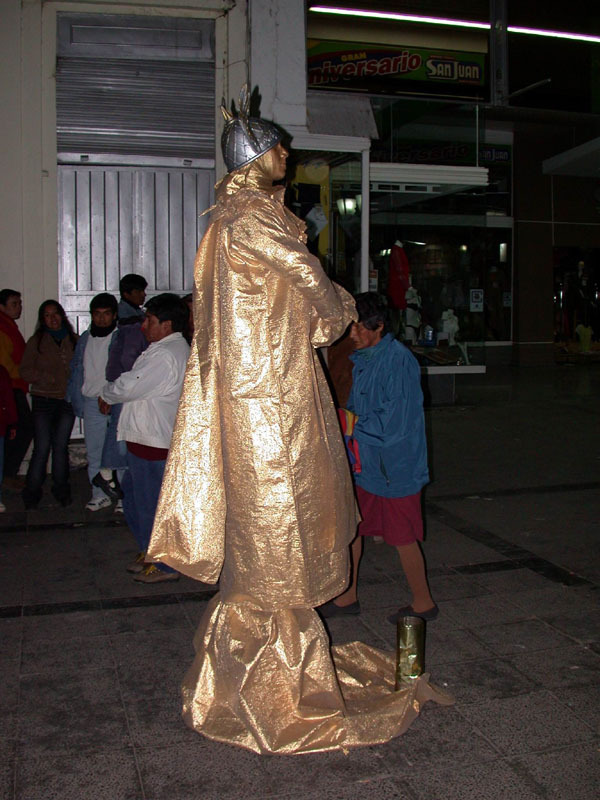 Salta - revived statue. 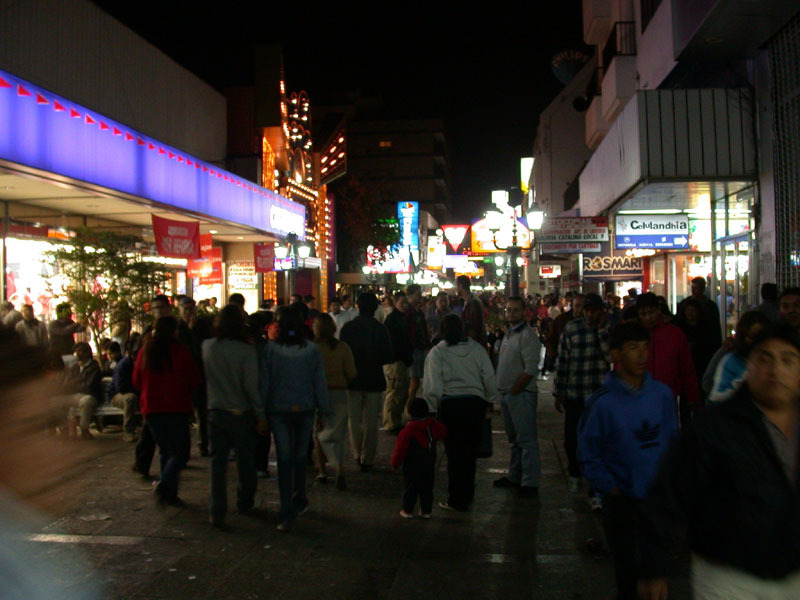 Salta - at night. 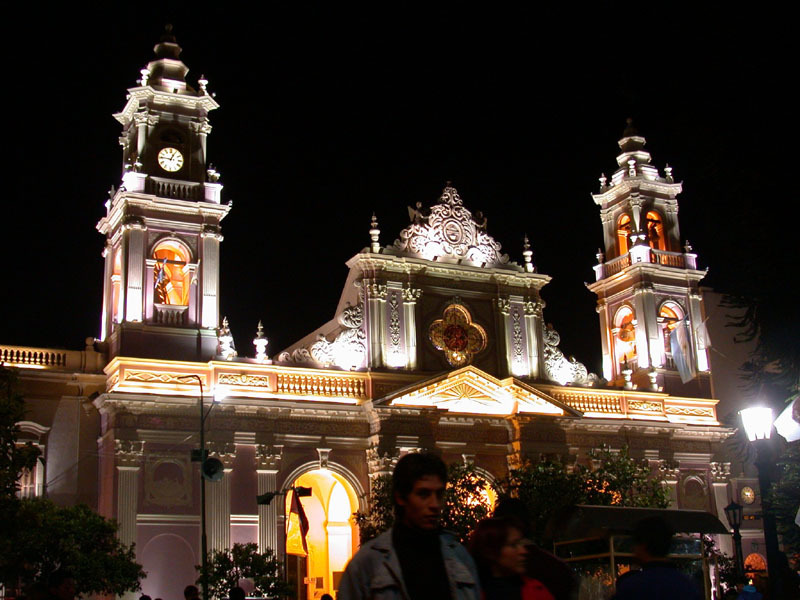 Salta - at night.